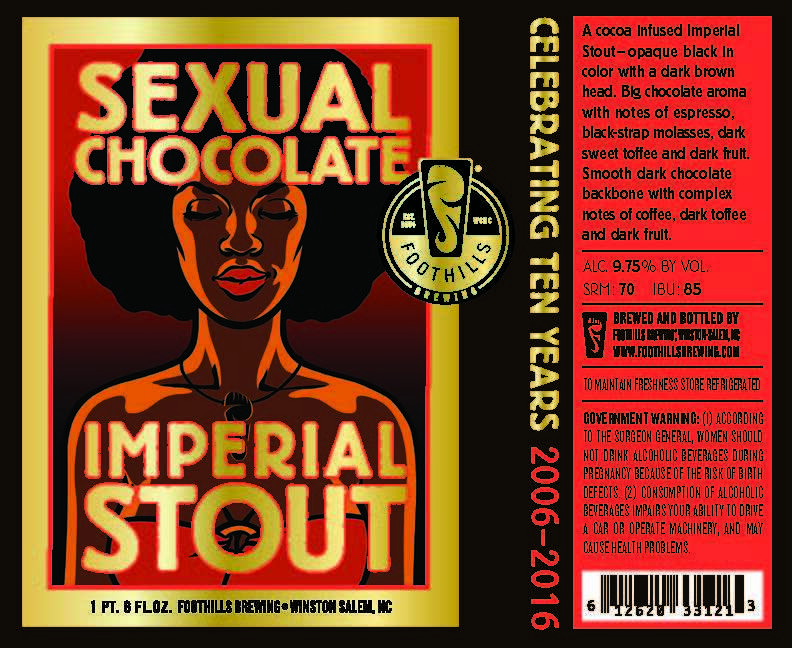 Barrel Aged Sexual Chocolate 2016 – so for our gala we had decided to designate one barrel of BA Sexual Chocolate, just because we were curious what it tastes like so far (been aging a few months already). This is a very rare opportunity to try this beer outside of its normal August-September release date. ALSO: Caskmaster Matt has created a couple of special casks of this year’s Sexual Chocolate that we’ll be tapping (one at a time) as soon as we open Saturday morning; one flavored with white chocolate and raspberry, and one with habanero peppers (which we are affectionately calling ‘Hot Chocolate’). February Hop of the Month (Mandarina Pilsner) – Only available since 2012, The German Mandarina Bavaria is derived from Cascade hops, and is known for its distinctive tangerine, pineapple and lemon notes. The result is a distinct citrus flavor profile, with a touch of sweetness, in this German-style Pilsner. January Hop of the Month (Wakatu Vienna Lager) – Wakatu hops are a hybrid with northern and southern hemisphere roots. Mild, subtly spicy Hallertau hops, produced in the largest hop-growing region in Germany, were crossed with a New Zealand varietal. The result is an unusually aromatic hop with citrusy, almost lime-like qualities. Those characteristics expertly balance the delicately dry malt sweetness of this Vienna Lager. Pilot Mountain Pale Ale – our spring seasonal’s back! Normally it comes out February 1st, we figured we’d fudge it a day for you guys. Frostbite Black IPA – going, going . . . the appearance of our spring seasonal means our winter seasonal is going into hibernation soon – get some of this roasty goodness before it’s gone. Six-packs and twelve-packs to go will also be available. Foot Men Series Barleywine – Caskmaster Matt, mentioned above, has been a busy guy . . . not only did he create two special casks of Sexual Chocolate but he brewed the strongest beer we’ve ever made for his turn in our Foot Men Series. This 10.2% beast is as complex and layered as it is hefty. It’s a full-bodied, big malty ale, with lots of toffee and raisin notes. Notes of the wine (the beer was aged on American Oak spirals soaked in Jones von Drehle Old Railroad Red 101) poke through with some oak tannin balancing some of the sweetness. Pretty epic tap list – hope you can make it out this weekend! Categories: beer releases, brewery, craft beer, north carolina craft beer, Uncategorized | Tags: beer, beer releases, brewery, community, craft beer, craft brewery, drink local, North Carolina craft beer, Sexual Chocolate | Permalink.